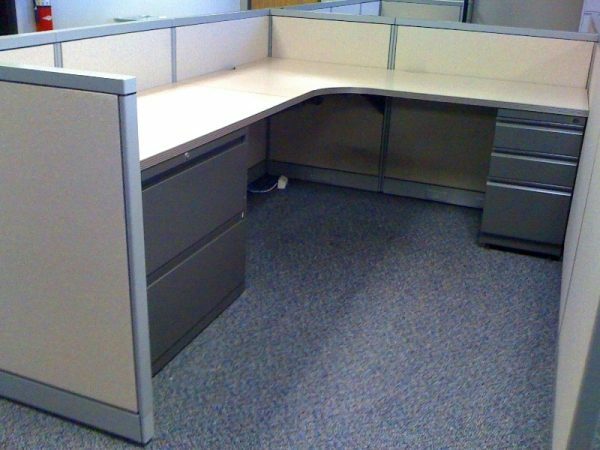 Used Steelcase Avenir cubicles with 42″ high panels. Each station has a corner with (2) return worksurfaces. Locking BBF and lateral file. Power down the middle panel run. These 42″ high stations come with a closure panel. All station are in good as-is condition. Station power connection to the building is a base-in power feed. Power Poles are available as an option. The stations can be reconfigured into 6×6 stations as well.